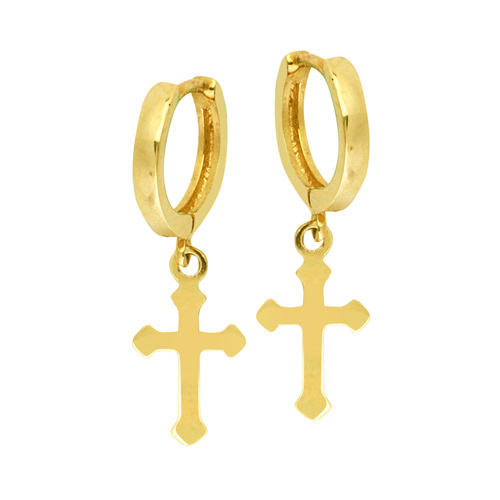 14k yellow gold hoop earrings have dangling crosses. Earring dimensions: 3/8in x 3/4in. Cross length: 3/8in. Weight: 1.3 grams. Import.